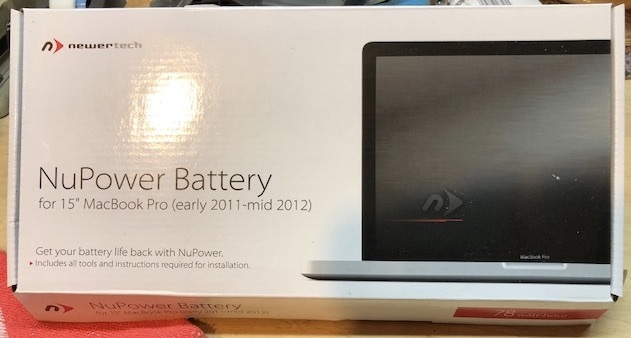 My daughter's MBP had a swelling battery, so I ordered this just before Christmas. Found out the main logic board was fried, so selling this battery, as there are no longer parts available for 2011 MBP's. 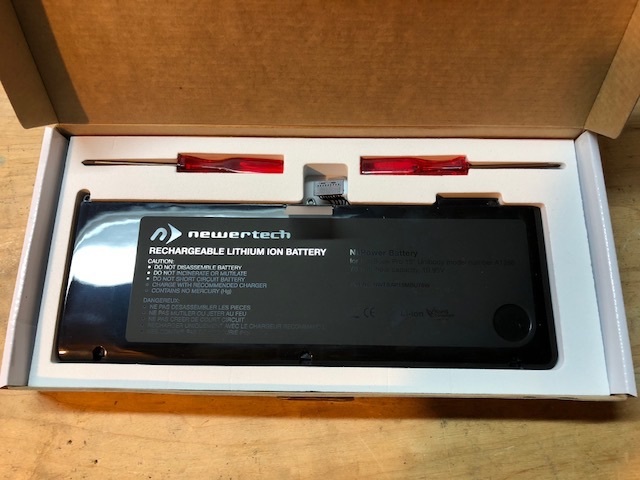 NewerTech NuPower 78 watt-hour battery with tools and instructions. Fits 15" MB Pros 8.2 (2.0, 2.2, 2.3, 2.4, 2.5 Ghz) and MB Pros 9.1 (2.3, 2.6, 2.7 Ghz) = early 2011 to mid 2012 models. Paid $144.49 US with shipping, taxes etc. Yours for $100 CAD shipped in Canada. Prefer email $ transfer. Located in London, Ontario. Found out the main logic board was fried, so selling this battery, as there are no longer parts available for 2011 MBP's. PS: Those are excellent replacement batteries and much better than what Apple ever supplied.